Given the controversy over the endorsement of Weight Loss Shakes and Fyre Festival, and now, Khloe Kardashian and Kendall Jenner are defending themselves. Despite the undeniably business savvy nature of the Kardashian-Jenner clan, they have garnered a substantial amount of criticism over the years, and are now addressing some of their most controversial endorsements. In a recent interview with The New York Times matriarch Kris Jenner and her daughters Kim, Khloe and Kourtney Kardashian, as well as Kendall and Kylie Jenner had a tete-a-tete with the outlet. During which, they comprehended their successful business ventures and also mentioned some of the serious backlashes they've received in the recent days. Khloe was questioned in the context of The Good Place star Jameela Jamil recently slamming her for an Instagram post promoting a weight loss shake. "If you're irresponsible to: a) own up to the fact that you have a personal trainer, nutritionist, probable chef, and a surgeon to achieve your aesthetic, rather than this laxative product... And b) tell them the side effects of this NON-FDA approved product, that most doctors are saying aren't healthy. Side effects such as... cramping, stomach pains, diarrhea and dehydration... Then I guess I have to,"
Khloe maintained to the newspaper that she's actually never had a chef and also notified the having the awareness that only some can afford her lifestyle. Moreover, she further stated that she posts all of her personal training sessions on Snapchat. "Well, listen, I am showing you what to do, silly person, 15 repetitions, three times, here’s the move …"
The Kardashian sister, however, claimed that on the starting years of her reality TV fame, she didn't always make the best business decisions. "I think in the beginning of our careers we got really excited like 'OMG, a brand wants me!' and sometimes it might not be an alignment with things you believe in, You step into this whirlwind and this whole life and for the past five, six years, at least, we've been very particular about what we do and very authentic -- I know that word is so overused." Steering towards Kendall, she recently garnered hefty backlash over her Instagram post through which she promoted her now infamously disastrous Fyre Festival. The court documents obtained by ET in January states that Kendall's company received a sum of $275,000 for promoting the festival on Instagram. "You get reached out to by people to, whether it be to promote or help or whatever, and you never know how these things are going to turn out, sometimes it's a risk,"
"I definitely do as much research as I can, but sometimes there isn't much research you can do because it's a starting brand and you kind of have to have faith in it and hope it will work out the way people say it will ... You never really know what's going to happen." Not to miss, Kylie Cosmetics, Kylie's makeup line is the most successful Kardashian-Jenner venture ever. As a matter of fact, the business is the reason for her earning the Forbes magazine title of "Youngest Self-Made Billionaire" ever at just 21 years old. Nonetheless, the title came with its own downsides particularly giving rise to controversy, especially in the "self-made" part, due to Kylie's famous family. Although Kylie has defended herself before, she does tell The New York Times that she's had a lot of help when it comes to her business. "I can't say I've done it by myself,"
"If they're just talking finances, technically, yes, I don't have any inherited money. But I have had a lot of help and a huge platform." ET spoke to Kim and Kris last July when they fiercely defended Kylie's billion-dollar success. "You know, everyone has a team, I don’t care who you are," Kim said at the time. "But when you don’t get it from someone else, that's 'self-made.' It’s not like that was handed to her,"
"She figured that all out. I mean, we all have." 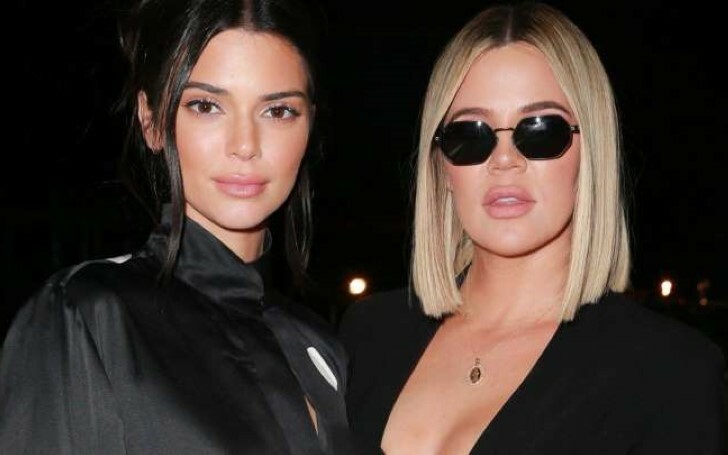 Although Khloe Kardashian and Kendall Jenner defended themselves from the endorsements of weight loss shakes and Fyre Festival the brand loyalty towards their product is surely affected.